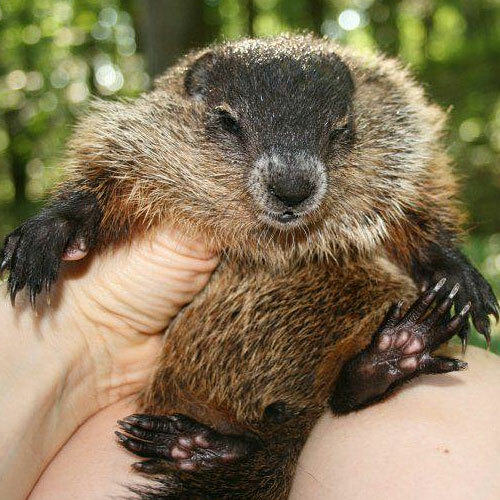 I've found an injured animal: HELP!! Help is here, and the most important thing to know is that YOU REALLY CAN MAKE A DIFFERENCE as to whether the animal will survive! The sections below cover some of the more common situations that you might come across: baby animals, cat attacks, window collisions, and more. A Big Brown Bat caught in a shutter. She had extensive wing damage, but was able to get help and fly again at Wild Things. 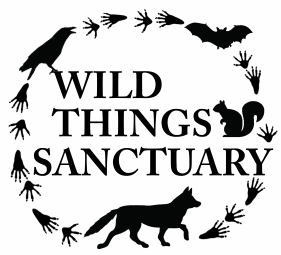 Wild Things Sanctuary is located in Ithaca, NY, and currently specializes in native bat care, however we are happy to advise on any wildlife situation. After hours, press the button for "emergency." 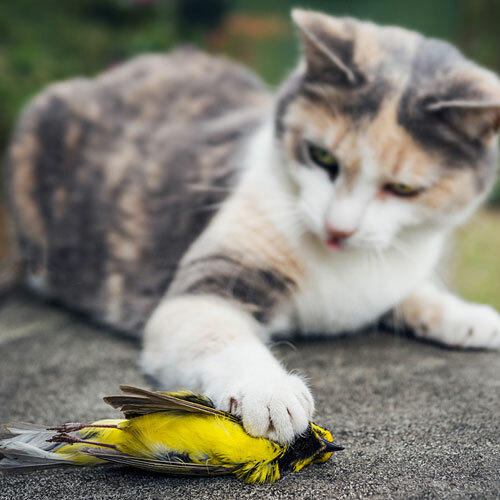 ​Even an animal with minor injuries can die of shock when it becomes scared; and humans are very scary to a wild animal!! The most important things to do when you find an injured animal is to keep them in a quiet, dark place. Do not hold or bother the animal, and do not feed or try to give water if it cannot drink on its own. 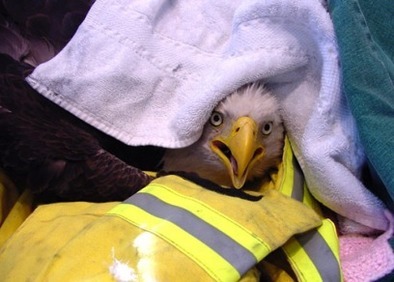 A Bald Eagle in distress breaths with an open beak. When picking up the animal be careful: don't put yourself at risk! Raptors have fierce talons, and mammals will try to scratch or bite when they are scared. Use gloves if possible when attempting to catch the animal. And call me first so I can talk you through proper handling and capture! 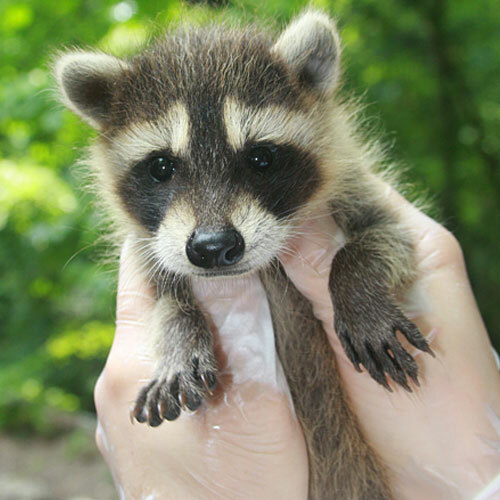 If the species is a Rabies Vector Species (in NY: raccoons, bats & skunks), do not touch the animal with bare hands and call Wild Things asap for more information. 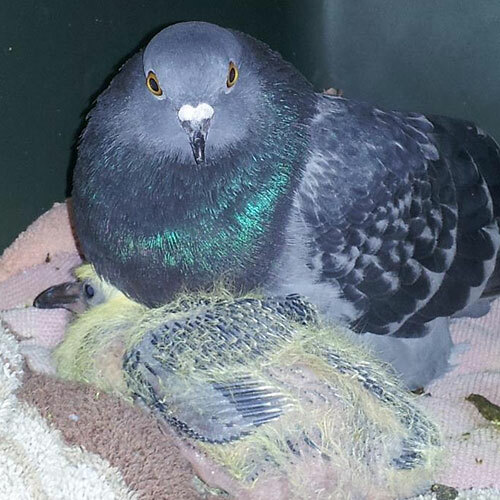 If the animal is immobile outside, you can put a box over the animal to keep it quiet and calm until help arrives. And keep any pets inside & away from the animal. 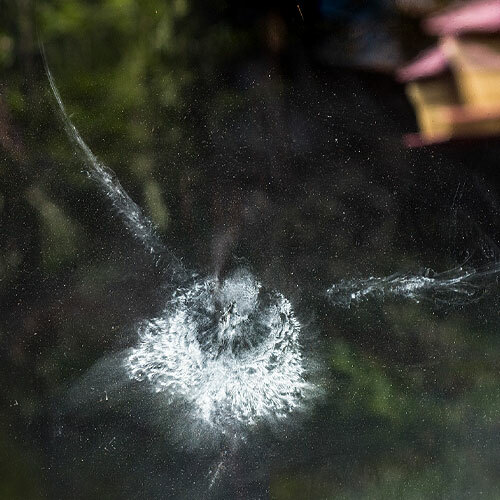 See below for information on what to do with birds who have collided with windows, cat attack injuries, and if you find some of the most common wildlife babies: birds, bunnies & fawns. 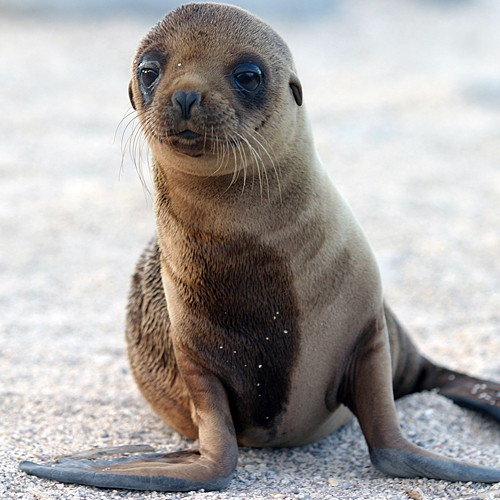 And this is a great site with info on freeing trapped wildlife (from Welcome Wildlife.com). ​mages: Sea Lion pup by Dag Peak; bird collision by Bill Gracey; cat photo by forestpath/Shutterstock via Discover Magazine.